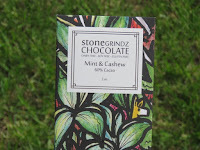 Today's chocolate was a Mint and Cashew 60% Cacao bar from Stone Grindz Chocolate (Scottsdale, AZ) was the first. This was re-sampled (to focus on the cashew part) this time. Cashew and Mint is a relatively unique combination. 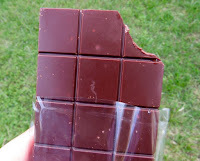 How did they taste together in one bar? 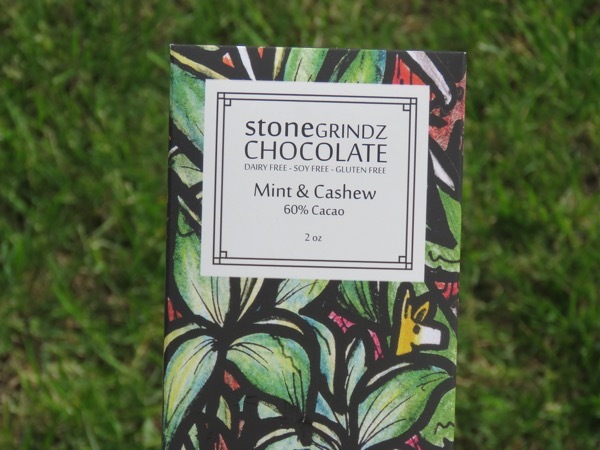 The chocolate had a pleasing aroma with a hint of mint and some very subtle cashew nut flavor and texture. 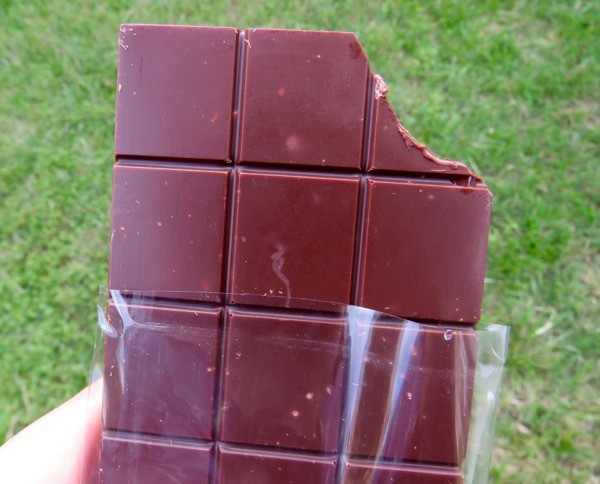 The chocolate was relatively smooth for a bar with nuts. The second chocolate item was similar to a high-end trail mix, and was composed of small, coin-sized round discs of dark chocolate, dried cranberries and cashews.